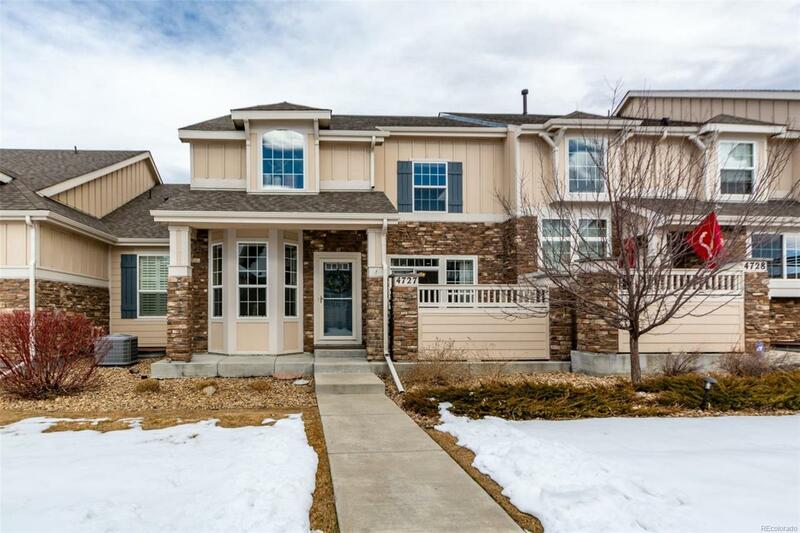 Come home to this gorgeous Wildgrass townhome. Abundant natural light and open floor plan invite peaceful living. Upstairs luxurious master retreat w/3-sided fireplace and two walk-in closets. Entertain guests in the chef's dream kitchen with large island and ample cabinet space. Newly finished basement with rec room, 3rd conforming bdrm w/attached full bath. Miles of trails and open space with spectacular views awaits outside the front door. Oversized two car garage. Radon mitigation installed. Low maintenance living.